A FATHER and son have made history by standing for election to Newry, Mourne and Down Council. Rowallane Ulster Unionist councillor Robert Burgess — who is out to defend his seat when voters go to the polls on May 2 — will be keeping a close eye on what is happening in Downpatrick where his youngest son, Alexander, is flying the party flag. Having been involved politics for over two decades, Robert has been passing on some fatherly and indeed political advice to his Alexander (23), who is hoping to upset the odds and secure a seat. The last UUP councillor in Downpatrick was Jack McIlheron and Alexander is hoping that he can make his own little bit of history by taking a seat for the party in the area for the first time since Newry, Mourne and Down Council was established in 2014. A pastry chef by profession, Alexander is confident that he can stand the heat of an intense election battle, with 10 candidates chasing the five seats up for grabs in Downpatrick. In 2014, UUP candidate Graeme Fury secured 373 votes which represented an almost 5.8 per cent share of the vote. Alexander is keen to more than better that performance and in addition to collecting a sizeable number of first preference votes, is confident he will pick up transfers from other moderate parties. The Saintfield man is keen to see more young people getting involved in local politics and says that if elected, he wants to see his peers being given a greater say in the future of the district. “Young people represent the future and it is important they have a say in how the district develops in the years ahead. It is important their views are at the core of the local authority’s next community plan,” he continued. Mr Burgess said his key election priorities include job creation, highlighting the need to make use of available acres of space at the Down Business Park at the Belfast Road on the outskirts of Downpatrick. “As the son of a farmer I fully recognise what a challenging occupation this is and how crucial it is for our economy. As a largely rural area, we need to work to help those in farming and rural communities,” he continued. 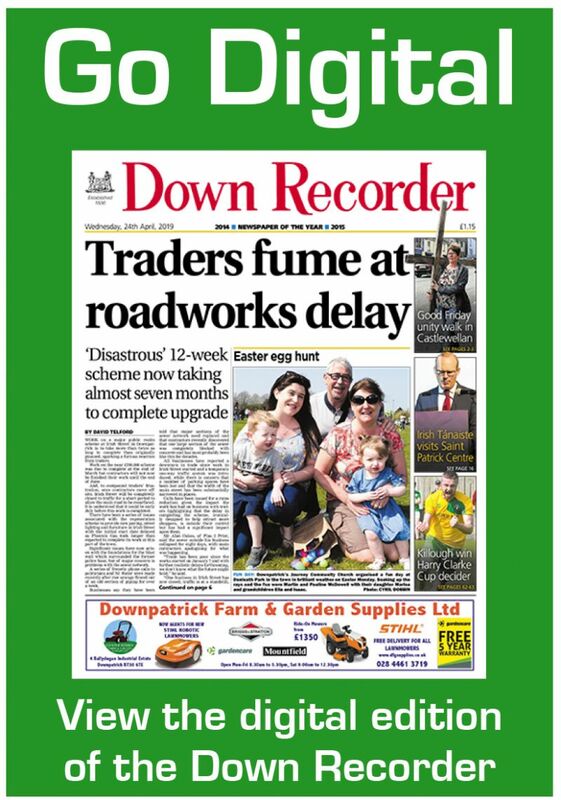 Mr Burgess is also keen to see the roads infrastructure in Downpatrick and in Lecale improved, with a particular focus on addressing town centre congestion. He said the congestion problem has never been fully addressed, highlighting the need for the Department for Infrastructure to do more. Mr Burgess added: “I hope that the electorate will place its faith in me and I appeal to young voters who have stayed at home during previous elections to come out and exercise their democratic right.